Mortgage News - GreyBeard Realty and Rentals that other areas across the nation have. Despite that, Greybeard's Asheville foreclosure properties listings offer a wide range of homes, and our Realtors understand the special considerations a buyer needs when purchasing a distressed property. In the last few weeks, several articles have discussed the impact foreclosed properties has had on the national real estate market. As more people lose their homes and move into rental properties, the number of rental properties available has diminished which in turn has increased rental rates. Also, mortgage rates continue to hover at record low rates, making becoming a home owner more affordable. More people are finding that, if they have solid employment and an excellent credit rating, they actually can lower their housing costs by buying a home. In many instance, particularly if they can find a foreclosed property that appeals to them, buyers can spend less money monthly if they own their home rather than renting. Again, while there are financial benefits, buyers need to understand the complexities that can accompany buying a distressed home. For more information on Asheville foreclosure properties or to get more information about the process of buying a distressed property, please contact Greybeard Realty. If you are a first time homebuyer, now is the time to invest. Real estate prices are down, interest rates are low, and the $8,000 tax credit that can help you make a down payment or simply reduce home-buying expenses is still available until November 30th. The American Recovery and Reinvestment Act of 2009 has helped many people-- this year-- purchase their first home, and The National Association of Realtors estimates that 350,000 first-time buyers will own homes thanks to the tax credit. Additionally, North Carolina homebuyers, who meet income requirements, may be eligible for a Mortgage Credit Certificate (MCC). An MCC allows you to claim 20% of the interest you pay on your mortgage as a federal income tax credit and has the potential to save you up to $2,000 a year on your federal taxes. An MCC can be combined with the $8,000 federal tax credit, but qualified buyers need to move quickly to take advantage of this opportunity because the November 30th deadline quickly approaches. The knowledgeable staff at GreyBeard Realty wants to help you take advantage of this first-time buyers' market. Let us help you find your new home. Buyers are advised to consult with a tax professional regarding tax credits and mortgage credit certificates. If you are a first time homebuyer, now is the time to invest. Real estate prices are down, interests rates are low, and the $8,000 tax credit that can help you make a down payment or simply reduce home-buying expenses is still available until December 1st. The American Recovery and Reinvestment Act of 2009 has helped many people-- this year-- purchase their first home, and The National Association of Realtors estimates that 350,000 first-time buyers will own homes thanks to the tax credit. Additionally, North Carolina homebuyers, who meet income requirements, may be eligible for a Mortgage Credit Certificate (MCC). An MCC allows you to claim 20% of the interest you pay on your mortgage as a federal income tax credit and has the potential to save you up to $2,000 a year on your federal taxes. An MCC can be combined with the $8,000 federal tax credit, but qualified buyers need to move quickly to take advantage of this opportunity because the December 1st deadline quickly approaches. The knowledgeable staff at GreyBeard Realty wants to help you take advantage of this first-time buyers' market. Let us help you find your new home. The American Recovery and Reinvestment Act, signed into law on Feb. 17, 2009, provides many buyers with a tax credit of up to $8,000 if they purchase a home between January 1 and November 31, 2009. Most news outlets have referred to this credit as available only to first-time homebuyers, but that is not entirely accurate. The Act does specify that this incentive is for first-time buyers, but it is important to understand how the law defines first-time buyers. In this case, a first-time homebuyer is someone who had no interest in a principal residence in the prior 3 years. Clearly, this opens up the tax credit to more than just true first-timers. The actual amount of the credit is based on the sales price, with the credit equal to 10% of the sales price up to $8,000. That would mean a home over $80,000 would qualify for the full $8,000. This new incentive is actually a modified version of the $7,500 tax credit offered as part of the Housing Assistance Tax Act of 2008. That version required re-payment of the credit, in essence making it an interest-free loan. However, the new version is not a loan, and it does not requirement re-payment as long as the buyer remains a principal residence for a minimum of 3 years. For information about claiming the first-time homebuyer tax credit on your tax return, visit the IRS website. Also, the National Association of Realtors has a good list of frequently asked questions. This article is a brief summary of this exciting homebuying incentive, but anyone looking to take advantage of it should consult a tax adviser. The past few weeks have been full of dramatic shifts in the stock market and dire predictions about our economy. The financial industry in particular has been in the news, and in watching the national news one can come away with the impression that loans, home mortgages especially, are not available for most people at this time. In fact, a quick survey of local area bankers indicates that funds are still available. "I watch television, and I would think it's hard to get a loan too," agrees Christy Bencivenga-Burns of First Citizens Bank. 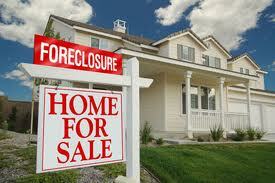 "At First Citizens we were never involved in the sub prime mortgages so we have not been affected by that. We are still doing mortgages. It's just that you have to be qualified...that's the important word...qualified." So how does that affect the consumer? First of all, it means that potential homebuyers should be able to put something down on their homes prior to purchase, rather than obtaining 100% funding. Bencivenga-Burns points out that in the past, Fannie Mae would underwrite a loan with no proof of income and no verifiable assets. In addition, they were willing to finance 100% of the home value. Most of the banks I spoke with in the area, however, have not taken part in that practice, so they have not suffered the consequences that the larger national financial institutions are experiencing. "We are evaluating and underwriting new loans every day and have not changed our lending standards," says Lee Ann Lewis of BB&T. "It is simply against our philosophy and values to put our clients at financial risk." "Our bank has plenty of funds," agrees David Begley, of Black Mountain Savings Bank. "We are doing what we have always done, offering 80% of value to folks that have good credit." "Black Mountain Savings has seen a large increase in deposits due to consumers fleeing to safety and local banks," Begley says. "Black Mountain Savings is one of the few banks nationally that doesn't borrow from other institutions to fund their loans so we haven't been impacted by the national credit crisis." As a consumer seeking a mortgage, what should someone seeking a loan do to smooth out the process? According to Bencivenga-Burns, the first step is to check your own credit score. "Pull the report yourself first," she advises. "Clean up any issues that need to be resolved prior to making the loan application. A high credit score will get you the best rates and improve your chances of being approved." Another area of concern is the applicant's debt to income ratio. While in the past consumers with rates as high as 65% were approved, area bankers agree that these days, that debt income ratio needs to be much lower. In short, in speaking with our local bankers, it appears that the mortgage business has changed but primarily for those larger banks who were taking extraordinary risks nationally. For our local financial institutions, loan officers have funds available for their customers who have provable income, solid credit scores, and a down payment for their new home. This month, I want to highlight the second home market, specifically those houses purchased for vacation homes or for future retirement homes. In the next article I will address homes bought for use as investment properties strictly for rental use, which involves an entirely different set of issues. While second homes are not tracked specifically in the Black Mountain area, it is interesting to note that of the current 650 Montreat homes; only 150 of them are listed as full-time residences. That statistic alone points to the importance of this month and next month's topics. Nationally, 36% of all existing and new residential transactions in 2006 were for combined vacation and investment home sales. All of the figures I am using here are provided by the National Association of Realtors (NAR). This surprising figure actually represents a decline from the 40% market share reported in 2005. And to break that down even more, 14% of all homes purchased in 2006 were vacation homes, up from 12% in 2005. Vacation home sales rose 4.7% nationally to 1.07 million homes in 2006, up from 1.02 the previous year. In contrast, primary residence sales fell 4.1% from 4.82 million in 2006 to 5.02 million in 2005. So who is buying these vacation homes? According to a NAR national survey, the typical vacation home buyer is 44 years old with a median income of $102, 200. And the vacation home price for 2006 declined 2% to $200,000. In that same survey, roughly 80% of those responding indicated that they purchased their home primarily as a family retreat and vacation home as opposed to an investment or other reason. It may come as no surprise, given our recent area growth, to find that 38% of vacation homes purchased nationally are located in the South. And while as I mentioned there are no specific numbers tracked our region, at least one area observer confirms that he has noted a significant rise in second homes in our area as well. Wendell Begley, president of the Black Mountain Savings and Loan, estimates that his company has seen a 20 to 25% increase in requests for second home mortgages over the last couple of years. And he notes that while the interest used to center on Montreat and other conference centers, he now sees Black Mountain and especially the area south on Highway 9 as seeing increased interest in this market. Lenders often have a different set of criteria for second home mortgages, Begley observes, and it is not unusual for mortgage rates to be ½ to ¾% higher than they are for primary residences. In addition, typical financing requirements for second homes call for 20% down payment and financing of 80%. And that figure doesn't seem to be causing much difficulty with his customers. "Now folks tend to put down more cash," Begley says. "Now our typical financing is more like 30 to 40% down." Despite the slightly higher interest rates and the larger cash down requirements, the vacation market should continue to grow, and particularly in our area. National experts such as David Lereah, NAR's chief economist, attribute the increase in vacation home purchases to demographics and lifestyle factors. And with the increasing number of baby boomers reaching middle age and looking for a special vacation home for their families, I feel as if the Black Mountain area will continue to see more and more people coming to appreciate our area.